Before I went to Kolkata last month, my strongest visual image of the city was not informed by guide books, travel websites, or National Geographic features. 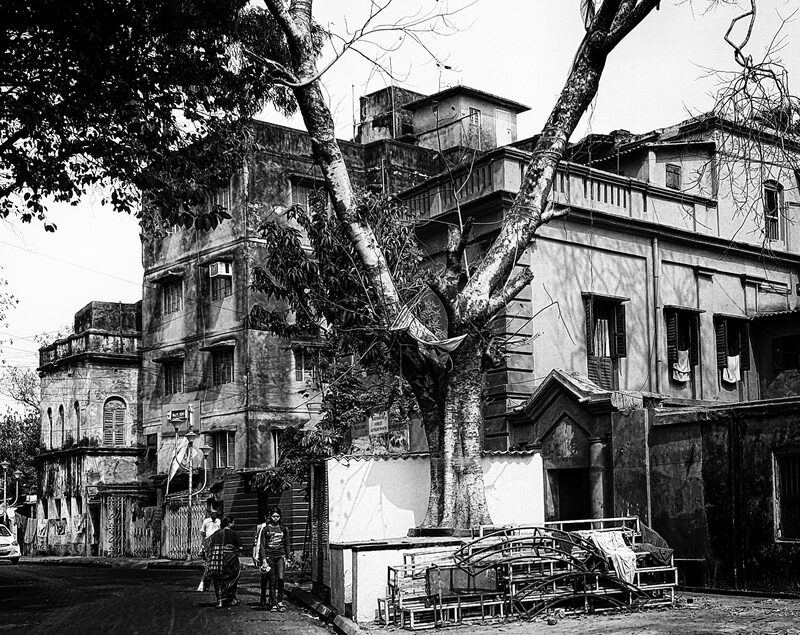 Rather, it was Naveen Kishore’s haunting black and white photographs of his hometown that captured my imagination. I remember, in particular, a darkened residential street—Calcutta, at night—quiet and empty. What would it be like to be there? 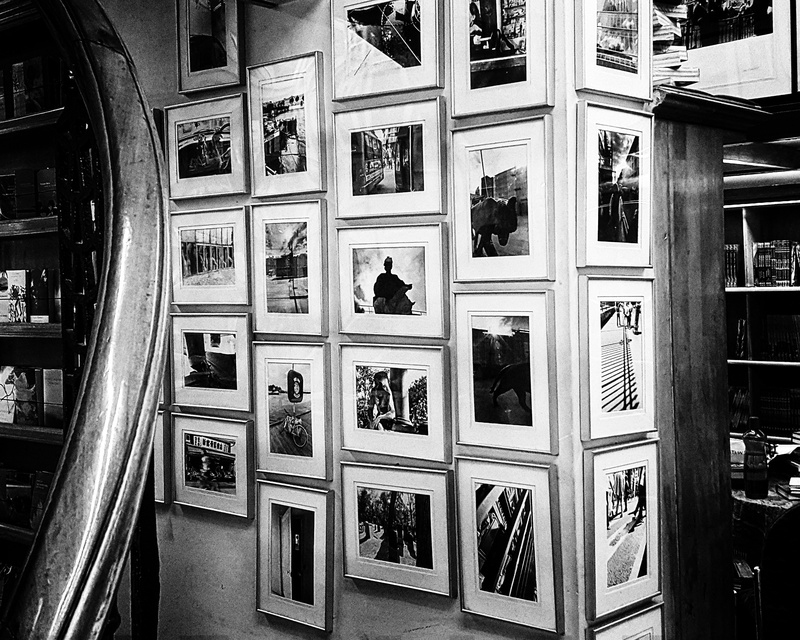 Naveen Kishore’s photographs on display at the Seagull Books store. And, of course, I arrived to what seemed a circus of noise, colour and crowds. It wasn’t until I began to pull out my phone as I navigated the streets of Bhowanipore, that I began to see the neighbourhood in which I was staying. Even when I had my proper camera with me, I continued to use my phone, for the built in GPS as much as for the ease of uploading and sharing photos along the way. But I knew that I would want to do more. Photographs have increasingly become part of my creative process. And when I use them in concert with words, I feel liberated to edit and manipulate them as much as I edit and manipulate language to express myself. The images that accompany my recent essay for RIC Journal were processed to heighten the colour and dreamlike quality I wanted to achieve with the text. The photographs that comprise the piece that has just been published at Youssef Rakha’s Sultan’s Seal website are entirely different in style and intent. Youssef Rakha is an Egyptian novelist, journalist, and very fine photographer. Over the years he has provided a home for photo essays by a number of excellent photographers and photojournalists. 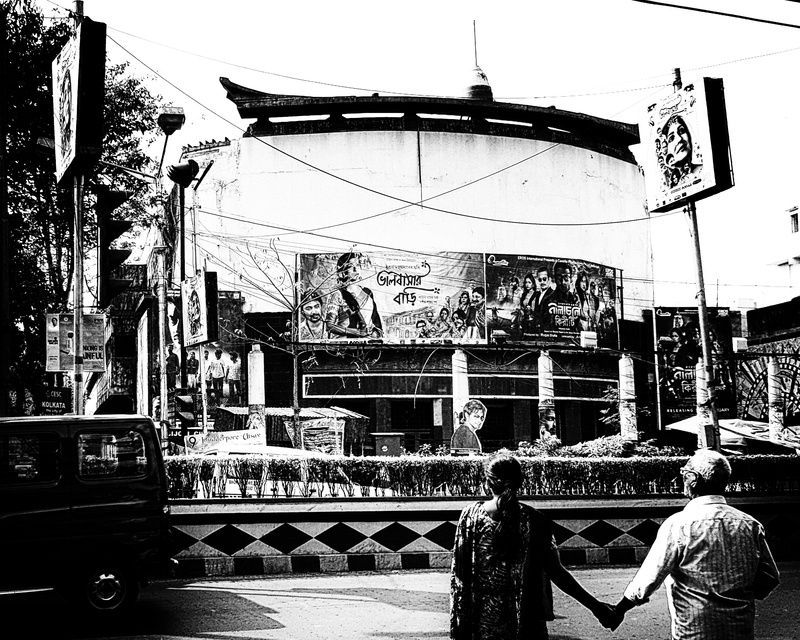 My humble contribution is entirely personal, again a reflection of my time in Calcutta, this time in black and white. The ordinary and the extraordinary. Twenty-four images—sometimes detailed, sometimes stark—and a simple text. And that special magic that only be conveyed with black and white (and all the shades of grey). You can find my piece, Calcutta in Grey here. With much gratitude to Youssef for putting it together so beautifully. Great photo essay. The grey images are so different than the color ones. Stark details somber. Thanks Kitt, I’m really pleased with the way this came out. I had very different objectives, but both speak to my special experience in Calcutta. 👌👌 we can carry only memories and express them later in any possible way we can!